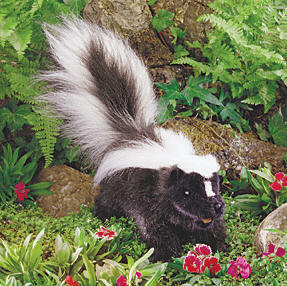 White stripes beautifully highlight the elegant sweep of long black fur on the hazardous hindquarters of this skunk puppet. With a workable mouth and tail, she can be posed in attack position, but don't worry; scent glands are not included! Hand puppet measures 15" long.